I recently had the pleasure of attending PLAY Expo Leeds, the biggest event of its kind to be hosted in my hometown. Organised by video game events moguls Replay Events, there was an absolutely massive amount to take in, plenty of vendor stalls to fill those gaps in your collection, and a cracking amount of varied games available for your enjoyment. Housed at the Centenary Pavilion at Elland Road, the venue was a great choice. Although much smaller than events like EGX or the other PLAY Expos, this made for a much more intimate feel – allowing some real conversations to take place, and lending the entire event a comfortable atmosphere. Alongside a huge amount of free-play arcade cabs (I had a great time hammering away at Pac-Man, Space Invaders and Point Blank), there was also what I reckoned to be a collection of every major gaming system, from the Commodore 64 to PS3, ZX Spectrums to N64s, I had a blast taking a trip down memory lane. Alongside getting my arse kicked by a bunch of ten-year-old kids in Counter-Strike 1.6, I had to stop myself getting all grumpy-old-man and get to the main purpose for my visit – the indie games. Here’s a bunch of titles (in no particular order) you should keep an eye out for. Boom Boom Barbarian is a nifty take on the rhythm game genre. You take on the role of a Barbarian mercenary, tasked with stopping the invading hordes by mulching them with your massive sword. Said to “combine Goldenaxe and Guitar Hero”, the more enemies you hit the more intense the music becomes. It was exhilarating to play, and the soundtrack (composed by Glyn Owen) really gets the blood pumping. Boom Boom Barbarian is still in early stages of development, but you can keep an eye on progress from the Silo Black Games Twitter account. Space Toads Mayhem is a frantic, retro-inspired top-down shooter that’s an absolute blast. While challenging, STM is a vibrant experience, requiring players to rely on reflexes and reading enemy behaviour to survive. There’s some fantastically named powerups on offer, from the Mega Death Sun to Space Spikes to help you avoid the ornery enemies, there’s also some nasty traps. At one point my guns were completely locked out, leaving evasion as the only option for survival. It’s coming out for Windows and Mac later on this year, and it has to be said, played with a joystick and big red fire button all the better for pounding, Space Toads Mayhem hits the nail on the head for those players searching for a challenge. This is a nifty offering from Sheffield-based devs Noskyvisible. 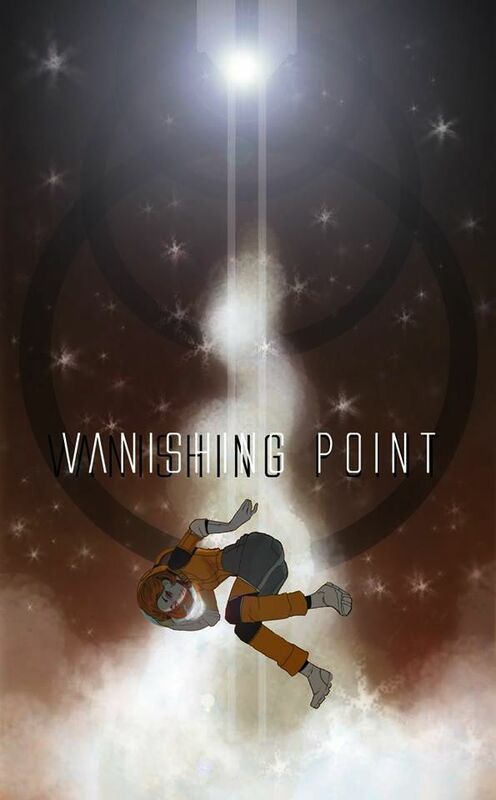 Taking cues from some great sci-fi tropes, Vanishing Point sees you take flight in an experimental spacecraft. Unfortunately, the ship’s drive malfunctions and spacey-wacey-timey-wimey-wibbly-wobbly things happen, leaving you and your crew as the last human beings alive. Imagine Event Horizon had an ménage à trois with 2001 and Red Dwarf and you’re somewhere on the right page. A survival game at heart, you must use quick reactions and on-the-ball management tactics to keep your ship flying, in one piece and your crew healthy and sane as you hurtle through time and space. FTL-esque appearance crossed with a huge galaxy map and a healthy dose of plate spinning left me with one of the most promising experiences of the day. Still early in development, I’ll be keeping tabs on this one. You can too, by following Noskyvisible on Twitter. MaoMao Castle is adorable. 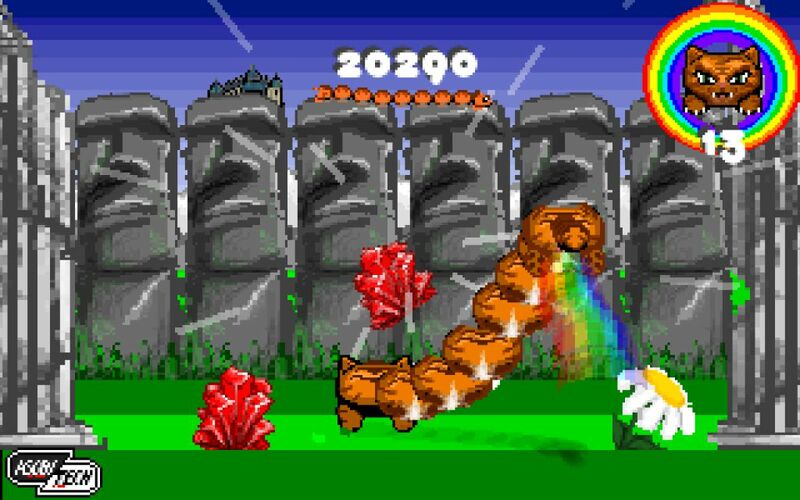 You play as MaoMao the Cat-Dragon (think Falkor from the Never-Ending Story), and follow him on his journey home. Along the way you need to dodge obstacles, smash through others and collect as many rainbows as possible along the way. Each of the nine segments of MaoMao’s body represents your nine cat-dragon lives. There’s an innovative control scheme using a rare LEAP controller in which you use your hand to manipulate MaoMao; this brings a huge element of fun to the game, and along with the points system this could be a hit at parties. For those without a LEAP controller, the game is coming out for iOS and Android devices. For those impatient scallywags out there, here’s a free web-based version available right now. OAOA was another hit at PLAY Expo. A puzzle platformer at heart, its setting is inside a computer; the computer has become infected with a virus and corrupted. Our hero is tasked with rebooting the system. Along the way, the world creates (and destroys) itself around you, giving it an unpredictable edge. There’s some great animation work going on here, and it’s aesthetically spot on. There’s even a multiplayer component, which to me was reminiscent of the excellent TowerFall Ascension, and I had a cracking time battling it out with a young couple. I’m very excited to see where OAOA ends up and would buy it now if I could; no release date is set as of yet, but the game is heading to XBO, Steam and Windows 10. There’s more info available right here. Sinister Soccer is a fast-paced 90’s style arcade football game for both handheld and TV devices. Featuring a great seamless drop-in/out multiplayer system, Sinister Soccer also has a management system in place; buying and selling players is an option, and with over 25,000 available there’s more than enough content for a casual game of this style. Awesomely, the entire planet is apparently in the game. SinisterSoft also had a couple more games on show; one of which is Dungeons, a Gauntlet style dungeon crawler. With up to 8 players able to join in and battle their way through the different levels, Dungeons was a good, fun scrapper, made all the cuter by the developer’s children helping with the sound effects. You can see what SinisterSoft are up to right here. Hyper Sentinel is insane. A retro top-down shoot-em-up, the sheer amount of on-screen information is ridiculous, in the best way. Absolutely chock full of targets, you speed around the length of each level, doing your best to bullet-hell your targets into oblivion. There’s a dodge mechanic similar to Galak-Z which, when timed right, means you can avoid all damage. There’s some brilliant power-ups. There’s different types of enemies, ferocious boss battles… in short, Hyper Sentinel seems to have it all. Developed by four5six Pixel in partnership with Huey Games (retro-heads will recognise these lot, led by Andrew and Rob Hewson), Hyper Sentinel is due out this summer. Also on offer is the new book by Andrew Hewson, Hints & Tips for Videogame Pioneers, available from the Huey Games site. More information on Hyper Sentinel can be found here. Pandora is an action RPG based on the Greek mythology of Pandora’s Box. Here, Pandora has been cruelly tricked into letting loose the thousands of demons and devils inside the Box. Her task is to overcome this threat and restore hope to the world. My first impression of Pandora is that, like all works of art, it’s a labour of love. It’s very Fable-esque in terms of appearance, but the colour pallet really lends itself to the Greek setting. Along with the hack n’ slash combat, there’s a magical element which is brought into play by the use of umbrellas. It’s adorable and looks incredibly promising. The team at Party Llama are gearing up to release their demo, but for more information you can check them out here and here. Splodey Vaders is a classic shoot ’em up with a twist. From what started as a riff on Space Invaders, developer Stuart Lilford threw in a smattering of Asteroids and shook things up. Your ship autofires, and your only movement is left-to-right. You have to ‘Splode the ‘Vaders coming at you from the top of the screen; when you do, the debris is also deadly. The game raises the already considerable difficulty bar if you let one through, literally lighting a fire that will consume you if you miss a couple. It’s got some great aesthetics, with a real Game Boy vibe – one of the unlockable features isn’t just a Game Boy type filter, but an actual Game Boy in place of your ship, which I thought was a nice touch. Currently free on Android and coming to PC at a later date, keep up to date with Splody Vaders and Scared Square Games here. Ruya is a wonderful concept. Part game, part relaxation aid, Ruya’s mechanics are simple. Drifting through several beautifully presented worlds as you try to wake Ruya from her coma, you match icons together in Tetris-esque formations in as few moves as possible. The hypnotic soundtrack also doubles as a sleep app; the aim of Ruya is to relax players and induce a calming state of mind and introspective contemplation. 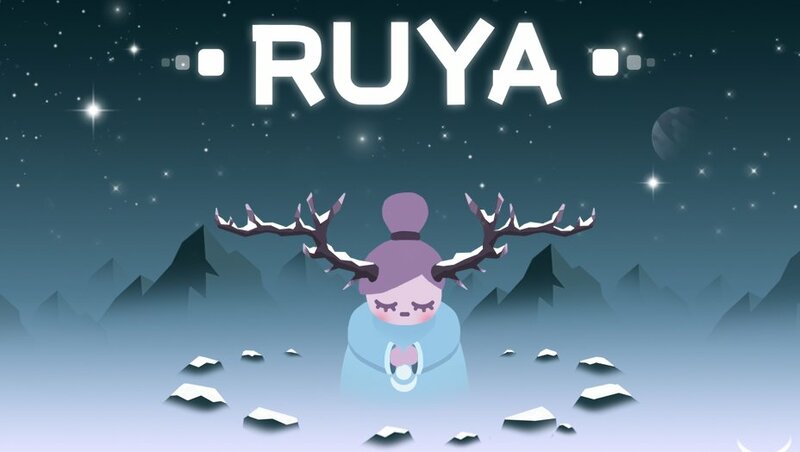 Coming later this year for iOS, Android and Windows, Ruya looks to be a deeply layered and chilled out experience. You can find more info here. 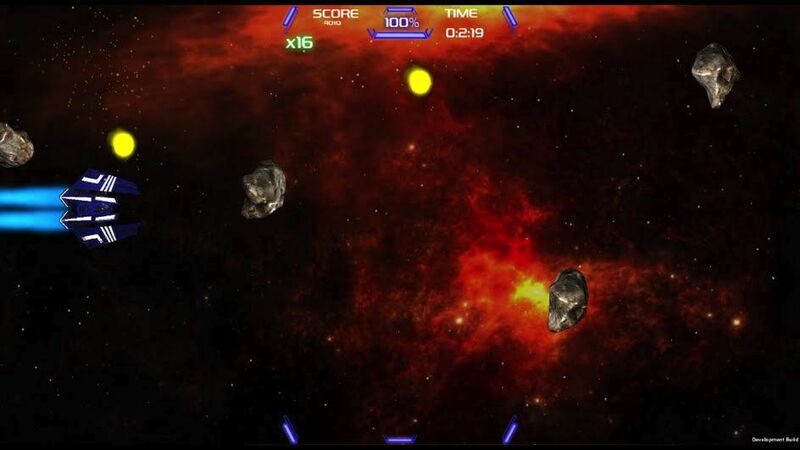 Cosmic Bypass is a touch screen endless runner from Leeds based developers Ardent Games. The stellar backdrops are stunning, and the game is quite simple – until it’s not. The goal of the game is to collect as many of the energy orbs as possible whilst dodging obstacles. The addition of different themed levels (phase mode, shrink mode and shoot mode) shake things up, and the levels are attributed randomly to keep you on your toes. Cosmic Bypass is a nifty little runner, certainly one to watch if that’s your bag. Follow the guys on Twitter here. All in all, I loved my time at PLAY Expo Leeds. It’s fantastic to have been at an event like this at my hometown, and I’ll certainly be attending again. It was brilliantly run, well organised and a great day as a whole.